LUFKIN, TX (KTRE) -This year the Angelina Arts Alliance will begin to oversee the Pines Theater programming. In efforts to address the community concerns and needs, they decided to host several forums for feedback, according to Jennifer Allen, Executive Director of The Angelina Arts Alliance. “The general takeaways that we got from that first forum was essentially more diversity in the program is needed, maybe more programs that are more appealing to younger audiences is definitely something that people would like to see in this community,” said Allen. Allen said as a part of their mission, they have offered worked to enhance cultural programs to the community over the years. “You know it is important that our programs represent our entire community and we are committed to that and we will demonstrate that going forward,” said Allen. Planning for the Pines Presents Series is done far in advance which Allen says plays a role in what programs are available. “You know there are so many factors that play into it, it could be the routing, the touring, the availability of the artist and of course probably the biggest factor of all of it our budget, you know whether or not the artist can fit into our budget, so the finances are critical,” said Allen. Overall, those with the Angelina Arts Alliance say their goal is to allow everyone to have a voice in the process as they move forward with programming the Pines Theater. “For us, this is just an exciting opportunity to build new audiences, which is something that is important to us, that we are growing new audience members, that we are engaging more people through the performing arts because that’s our mission that’s what we do,” said Allen. The community is invited to give their feedback at the forum on Tuesday, February 12th. 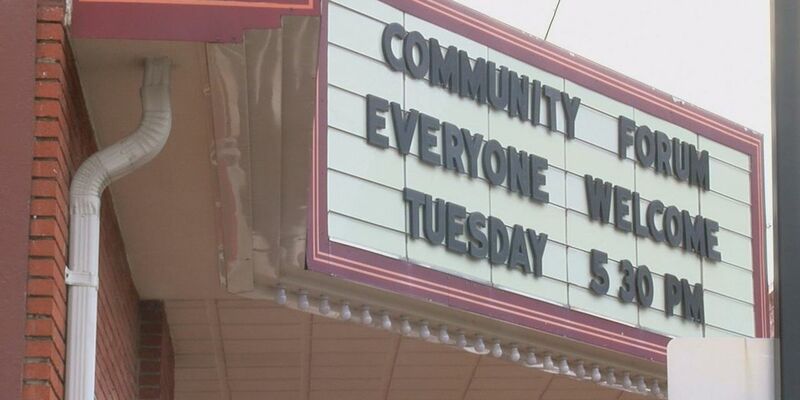 It’s being held at the Pines Theater in Lufkin starting at 5:30 p.m.